“Allied Army Seeks Horses, Mules in San Diego,” proclaimed the headline in an article on page two of the San Diego Union on Sunday morning, June 6, 1915. The United States at that point was still a neutral observer of the war then raging in Europe. But clearly France and Britain, who were fighting Germany, considered the US a reliable supplier of material for their military campaigns. 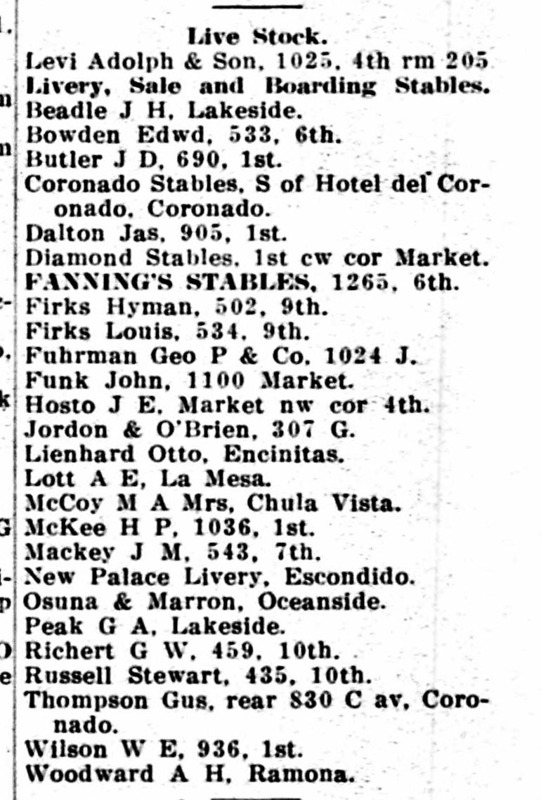 Sources for this post included historic San Diego newspapers and the San Diego City and County Directory 1915. ← Immigration: Then and Now?